Ooh, another giveway! You're so kind! Love the patterns in this book! Some of my FAVOURITE patterns ever are in this book. I'd love to own a copy. This is an awesome giveaway! Please pick me!!! I love this book, but I love your patterns too. Please pick me too. Oh, I'd love to win this copy! Happy holidays! this Laurel pattern is very beautiful. I like to have this book. The patterns in this book are beautiful... And there's nothing wrong with the way your Laurel looks! Thanks for an interesting blog. Loving your knitting! hopefully you'll send to Europe ? I'd love that book! Such great patterns. Thanks for the giveaway! Ooooh...pick me, pick me please. I love Jared's patterns. So luxurious. It rather rare here in DK - so i would be SO glad to win this!!! 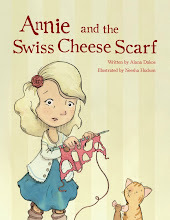 That's such a lovely book, I'd love to add it to my knitting library! Oh yes, please add my name to the drawing! I have been a fan of Jared's works for a couple of years now! Thanks for the great blog, and happy bloggaversary! Ooh, what a great prize! I would love to own that. Ahhh! I love Jared Flood! My first sweater was one of his patterns. ooh! I love his new book! Such lovely patterns! THis book sounds wonderful. And I like your hat! Perfect episode and contest. These patterns are beautiful. I would love to win! I would love to win Jared's book. What a great Christmas gift for me it would make. I am so excited! This looks like an amazing book. Thank you for another fun giveaway! Pick me, please. Pretty please with sugar on top? SWEET! I love the inscription. I'm in! I've been eyeing this book. It would be cool to win it. Great job on the hat. That hat is sharp looking and I LOVE wearing hats. Count me in, please. Wow, how kind you are to actually part with a signed copy. I'll trade you a postcard from here. Ooo, me me me! Thank you! Thank you for the giveaway! I'm so excited - hope you pick me. I'd love to join your contest! Count me in I'd love to win such a great book. Oooh, I still haven't got a copy! J. Flood rocks!! Hope I win, Thanks NNK!! Thanks for your podcast; I love the song at the end. Hope you never change it. Yikes! I love this pattern book! Wow! Still haven't gotten around to getting this but I have every intent of buying it - unless I win this *signed* copy!! What a great giveaway! I would love to win this book. Oooh, a very exciting give away!!! I love the hat on the cover. Thank you!!! As a Brooklyn resident (who knits! ), I'd LOVE to have a copy! Thank you so much! And Advent blessings to you! 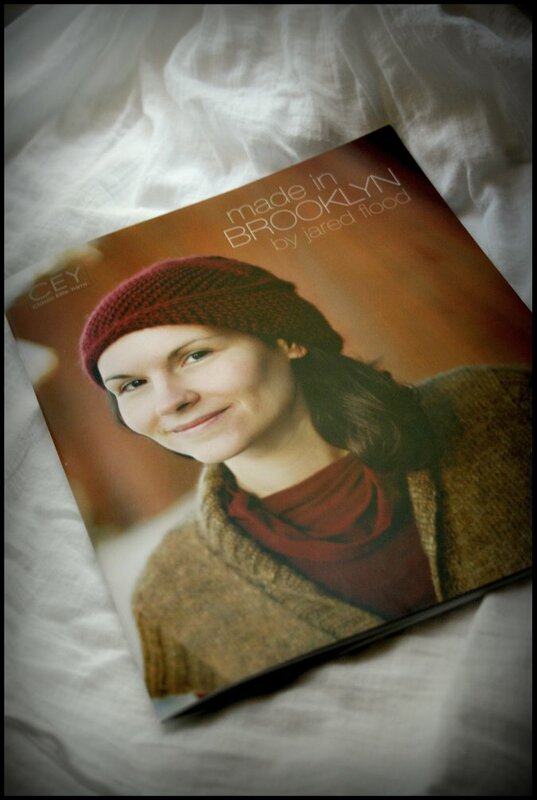 I love Jared Flood's designs and my son just moved to Brooklyn, NY so I'd love to win this book! thanks for the great give-away! count me in. You give away such cool prizes, and signed too. Fantastic!! bEatuiful!! I love all the giveaways on your blog - and the knitting of course! New blog reader here. Just bought one of your sock patterns (Amelie) and eager to give it a spin. Would love to win the book! Fun contest, great prize! Please enter my name. I love Jared Flood. I have already pre-ordered his new book on amazon. Please enter me in this drawing. I'm so glad I've started reading your blog! I just need to start liking podcasts right? (it's not just your's I don't listen to any! please enter me! Thanks for another great giveaway. I love that you promote all knitting! I find so much inspiration in that. Excellent. I've been wanting a copy of this book. Jared's designs are so great. Fingers crossed. I'm always amazed at the kind of support podcasters get from the knitting world. love love this! !I'm trying to learn to knit some new things and am struggling my way through a pair of fingerless mittens now, this would be so helpful and such a beautiful addition! thanks for the giveaway!! I'd love to own a copy of this book. Thanks for hosting another great giveaway. Oh my...I would love to add this to my library. Please pick me. Everyone loves Jared Flood (and Never Not Knitting!) ... I'd love to win the book. Yes please. I would love this book! I love Jared Flood's patterns. I would love to add this book to my collection. Love Jared Flood! You met him? If it were me, I know I'd have swooned. On my Ravelry Queue--Quincy, Laurel and Grove. And you are the best!!!!!! I love the patterns in this book! Thanks for the contest! Willoughby looked so amazing that I bought the pattern on its own, not the book, but now I'm really wishing I had the books for the other projects too! 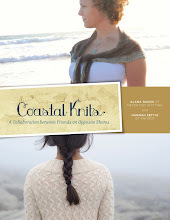 The classiest knitting blog and patterns ever. Oh, I was just drooling over that book! Thank you for the contest! love Brooklyn Tweed. fingers crossed! Yes, please. Jared does such good stuff! I just love give-aways, and what a fabulous one this is! Just in time for the holidays and a looong New England winter! thanks for the chance to win! Ohh his patterns are lovely! I haven't been able to find this book here in the Great White North so please enter me in the contest. Thanks! I would absolutely LOVE this book! Would love to see this book of patterns! Thanks for the giveaway! you have the greatest giveaways!! i'd love to win. Ooo -- what a great giveaway. Pick Me, Pick Me -- lucky 100! 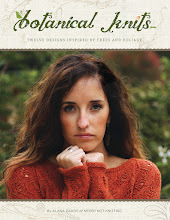 Just looked at this book at my yarn shop last night...love that white sweater! ooo Jared Flood is the best. Would LOVE to win this book! Love your blog. Oh I love that Laurel hat! What a beautiful book! Yippee, I love Jared Flood's Design. How sweet of you to do a giveaway. I'd love a copy! The patterns look great. OH how I have wanted this book! You are so kind....Pick Me Pick Me! oh, please pick me, please pick me! Enjoyed the podcast this morning on my train ride into work. How great that one of us lucky listeners will win a signed copy. Thanks!! What an awesome Christmas Gift this would make! Thanks for the podcast and thanks for the chance to win the book! Would love Jared's book. I love the podcast and my husband loves the Nevernot Knitting tune. Love his designs!!! Thank you for the give away!! I have been longing for this book for a while :) Pick me!!! If all of the patterns are as beautiful as the Laurel hat, then I'd love to have a copy! I loved knitting Jared's Hemlock Ring Blanket on Ravelry, I can only imagine how great his book must be!! Thanks for another cool giveaway! Jared's an alum of my University -- such an interesting and brilliant gentleman. He's kind of my idol! Please count me in. Love your podcast! Jared Flood is so awesome! I want to eat everything in his photos. Oooh, I want that book for the hats alone! I drooled over a copy of this at my LYS, but it just wasn't in the budget for this Brooklyn Girl. But winning it would be awesome! Thanks for the fun giveaway & Happy Holidays! oh i've been wanting this booklet since he previewed it!!! Thanks for the giveaway! Beautiful book by a talented artist! Yea! I would love to own this book! Thank you for having the contest! OOOH! I've been looking for this! My LYS doesn't have it. I love his patterns. He does such lovely work. I've heard amazing things about this book! Please add me to the drawing! Wonderful! I love all of Jared's patterns! Wow I would love to win that book, and signed to boot that makes it even better. How generous! I would love a copy of Jared's book as well. The Rockaway sweater looks fabulous. I love colorwork and can't wait to see what Jared's instructions look like. Jared is brilliant! I just made his Quincy hat, again (I only have the one pattern). I'd love to peruse the entire book! Thanks for offering this up. I want it, me, me! I'd just love to have it, and it's signed! Awesome! Love your podcast...Love your patterns...Love Jared, too! Oh, I would so love this! I recently knit Quincy, which I just loved!!! Thanks for a great podcast..
You are so, so generous with your give-aways! Thank you for having another! I loved your recent had from this book! Great descriptions of the patterns in the book and your meeting. Jared has a very unique design sense. I would love to add his book to my library! I love love love Brooklyn Tweed! Enjoy reading your blog, Alana - and would love to have a copy of Jared's book. What a great giveaway! Thanks for the chance to get these patterns. I think I need to knit that hat for myself~in a nice, misty green. Yours is lovely! I love all the opportunities you give us to win all kinds of cool knitting stuff. Someday, I hope I actually win! Awesome! Glad to see that you're in the festive mood with all of your giveaways. Merry Christmas! You have the best giveaways. Thanks! I love so many patterns in the book! Thanks for the contest. This book is the only item on my wish list! Ooh neat. I would love to add this book to my library! Oh I just love your contests! and this is an awesome prize! Love your blog...Love Brooklyn Tweed. Want the book! ooohhhh it's my birthday wink wink. ohhhh I sooo want this book!! Thanks for having the contest! I love contests and I love your blog! Have been admiring this book for a while- would love to win it. Jared Flood does such georgeous designs and photos! I'd love to win this book! Thank you for the giveaway! I would love to win. I love the patterns in this book! I'd love to win a copy! Looks like a beautiful book! Would love to win! I've coveted this book since it came out...thanks for having a giveaway! I was just looking at this at my LYS, love the patterna! 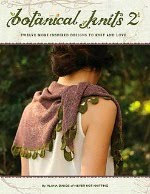 Wow, this book would make a great addition to any knitting library! Merry Christmas! i would love to win the give away!! awesome! I've been meaning to buy this one but it would be great to win it. So cool! Thank you for the giveaway. Heard such good things about this book. Wow! What a wonderful giveaway! Thank you for the opportunity to win. It really feels like Christmas with all your lovely giveaways! Please count me in! Thanks so much for another giveaway! I love Jared Flood's work. I'm new to this blog via Ravelry; what a great way to begin! I have been drooling over this book. Ooh! What a neat prize! I'd love to win that book. Thanks for all your awesome drawings! Wow, Jared is one of the designers that I adore. Your knitting is getting more amazing. Keep your hard working going!